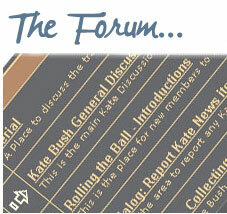 ← Kate’s official site undergoing changes? Well, we were the first site to announce the Aerial album and today we have the pleasure of being the first place you’re going to hear this AMAZING news! Seán, Peter, Krys & Dave. 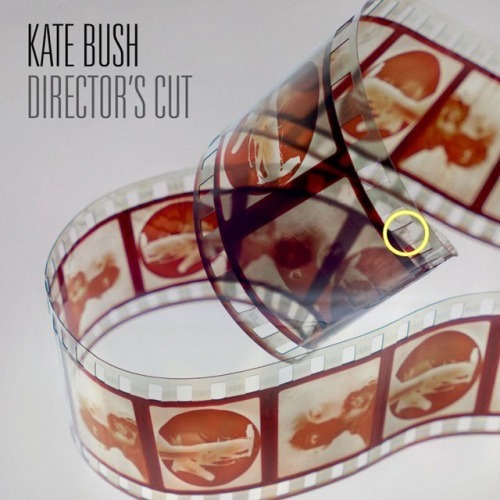 KATE RELEASES “DIRECTOR’S CUT” ON MAY 16TH, A NEW ALBUM WHICH SEES HER RE-VISIT A SELECTION OF TRACKS FROM THE SENSUAL WORLD & THE RED SHOES!!! NEW SINGLE “DEEPER UNDERSTANDING” RELEASED IN APRIL!!! CONFIRMED: KATE CURRENTLY WORKING ON NEW MATERIAL!!! Kate Bush releases an unusual new album “Director’s Cut” on May 16 on her own label Fish People, in conjunction with EMI. On “Directors Cut” Kate revisits a selection of tracks from her albums “The Sensual World” and “The Red Shoes”, a process that presents a fascinating portrait of an artist in a constant state of evolution. She has re-recorded some elements whilst keeping the best musical performances of each song – making it something of a director’s cut but in sound, not vision. Kate is currently working on new material although no release date has been set for this. “Director’s Cut” will be released in the following formats: Digital Album, Standard CD in a case-bound book, Deluxe CD (three disc package, including Director’s Cut, The Sensual World and re-mastered The Red Shoes) in a case-bound book and two-disc vinyl. Other digital and vinyl formats will be made available on katebush.com. Details will be published shortly. Note: we realise that this moment of elation for Kate Bush fans coincides with the shocking news of the earthquake and tsunami in Japan and elsewhere today. We have heard from our friend Sozo in Japan who provides the Japanese version of this site – he is in the West of Japan and is safe, but fears for his fellow Japanese in stricken areas. Here is a website which outlines how we can all give practical help. This entry was posted in Deeper Understanding (2011 single), Director's Cut (album), Kate Bush news, Official announcements. Bookmark the permalink. 51 Responses to MASSIVE NEWS! KATE RELEASES “DIRECTOR’S CUT” ALBUM! Fantastic news – can’t wait ! Two of my favourite albums. Wonderful news, thanks. Oh, wow – a 3CD set of Kate’s best albums revisited, remastered, and re-jigged. I think The Sensual World in particular will sound simply awesome. There are so many just so many sounds and layers on that album. Can’t wait for the track listing. Wonderful! I’m marking March 16 on my calendar — in pencil! Ha! Did you mean MAY 16th Karne? Wow great news and so unexpected! Can’t wait to hear the album! Is there a mistake in the announcement ? Why no “re-mastered” Sensual World in the Deluxe package ???? Could this be the KT symbol or am I seeing too much?? Thrilling news! She’s back baby! All the Facebook, You Tube, and Twitter posts and announcements. That’s as much activity as the last 17 years combined Best news I’ve heard since, well, Aerial coming out!!! On the edge of the film along the bottom row of pictures, you can see a VI in the frames next to the pics of TSW and a VII next to the pics from TRS. Perfect. I’ve been saying to my boyfriend for ages,that there seems to be rumblings in the Kate Bush camp& lo! I am right. I absolutley can’t wait & I’m having the 3disc at all costs. Welcome back Kate!!! What an understated comeback! Can’t wait for the new interrupritations of old songs. Love you, Kate! Always been a fan of The Red Shoes! Awesome news. Hope they will be released on vinyl as well! As Kate is a great reader, was the revisting of these 2 albums in particular prompted by the judgements in the most academic study of her work to date ? This was written 4 years ago which would be just right for prompting this response from Kate. Bit disappointed, really wanted some new stuff. Still will see what it is like. I for one welcome our new insect overlords re-recorded tracks. I hope somebody is keeping up with the implications of these developments, because there is one major question. If she is going to do revisions of older songs I certainly hope there is no scrapping of the songs that already are out in the public domain. According to the Guardian article of recent days she was quoted as saying she did not like the older ones anymore. So I hope those do not disappear from the video sections and be replaced by these newer ones. Anyway EMI needs to clarify this situation. The public will be the only domain (luckily which is fairly extensive) for keeping her older songs floating around you tube and dailymotion, the video engines that is ect. and as such, the public keeping the older versions that were written in her youth, intact and available to the rest of the public. Hi Harry, there is absolutely no suggestion from any quarter that the original recordings and albums are going anywhere. We already have official confirmation of four of the original albums being re-issued this year. Think of the new Director’s Cut album as an exciting unexpected bonus before the next studio album of original material from Kate. …also remember that Director’s Cut only re-visits a selection of tracks from the two albums, making it a separate entity from her existing catalogue of released albums. Also, anyone knows what is going on with Hounds of Love on cd? Looks like It is not available anymore to purchase on cd (new). 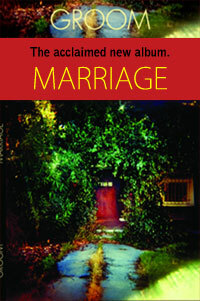 With Hoffman’s remastering on vinyl, I thought perhaps a cd version would come out as well. Anyone in the know here? Thanks for the above clarification. I’m looking forward to seeing what comes out in May 2011. Also the new material sounds exciting also. I can´t wait. Love Kate since her early years. This is great. Kate’s the only artist’s single I’ve ever purchased. The last three times I went to buy new music “off the rack” has been for Kate. April can’t come soon enough. Thanks for what you do Seán. Also, as I muttered somewhere else on the www regarding why these now: Perhaps she had just made some choices at the time that she found difficult to have to make, perhaps personal compromises that she wants to revisit, or ideas that have occurred to her since. No matter, those albums are underrated and, I believe, still ahead of their time. Maybe now is the time. Works for me! Surely the summings up in Graeme Thomson’s book might have given her the kick up the backside she needed to rework them? Less seriously, there must be a Kate fan on the Dave channel because they showed the Russell Howard’s Good News episode where he says ‘I’m the King Of The Mountain!’ in response to being voted No. 8 on Heat magazine’s Top 10 Weird Crushes in 2009! Any word on an Americn release? Will pass on details as soon as we know, but subject to anything Dave has to say, this seems to be a release through EMI in the UK and available on import elsewhere. Would love to hear something great by Kate again. Cause that unfortunately never happened to me anymore after Hounds Of Love. I can wait, because I leanrned to wait for new releases from her. I have a very uncanny feeling about the release of “Directors Cut”. It does not feel good. My gutfeeling is shaking and saying stop working and old stuff and make new. And for once make it in Surroud DTS sound so we can all have our ears touch but the magic of that sound system through our favorite singer. Do something new Kate!! Or do nothing. Thatt my freedom of speech. This lady is amazing! Every song is truly a work of art. I have her playlist in my head. 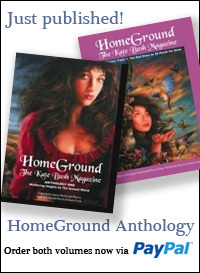 I have loved Kate since I first heard Hounds of Love as an impressionable 12 year old, in 1985. I have preached the word of Kate for 26 years, and told countless people of my love for her. I was certainly intrigued by the concept of Directors Cut, and understand the motivation. Ultimately, I am left at a loss for why she went down this road. Her songs weren’t broken, and I know that many of you can bring to life in your minds a Kate song by name alone, as can I. It pains me terribly, but these songs feel like subpar covers. Case in point, This Woman’s Work. Listening to it right now, I just don’t see the point. I loved this song as a boy, and many years later as a man expecting his first child. It didn’t need to be updated, because it was perfect . I dunno, guess I’m left a bit sad, but as always hopeful for the next release. Kate es una mujer muy sensual y su forma de cantar y componer es unica en el mundo espero vuelva con un material totalmente nuevo ya que creci con su musica y su voz….